The mythical Minotaur, a half-man, half-bull creature condemned to wander a labyrinth until killed, serves as an organizing image for Georgi Gospodinov’s time-traveling, labyrinthine stories about himself and his family—tales of abandonment, sorrow, ennui, discontent with the world, and the relentless passage of time. Gospodinov meshes his own story with those of his father and grandfather, whose memories he says he can inhabit. Especially moving is the story of his grandfather, also named Georgi, who, when he was a small child, had been abandoned at a mill. World War I was raging and the family was starving; when advised that little Georgi was missing, his mother had hesitated, calculating the number of mouths she had to feed. Gospodinov dwells on the child’s terror as he saw the family wagon driving away without him, a terror relieved only hours later when his sister ran back to collect him. Having grown up in communist and post-communist Bulgaria (“life under communism was a long chain of secrets,” Gospodinov writes), under the threat of an atomic mushroom cloud, Gospodinov is all too attuned to his own mortality. A time-traveling empath, he uses story to call us to look beyond ourselves to what can root us and give our lives meaning in a world that can seem crushingly cold and cruel. Georgi Gospodinov is an acclaimed poet, writer and playwright. 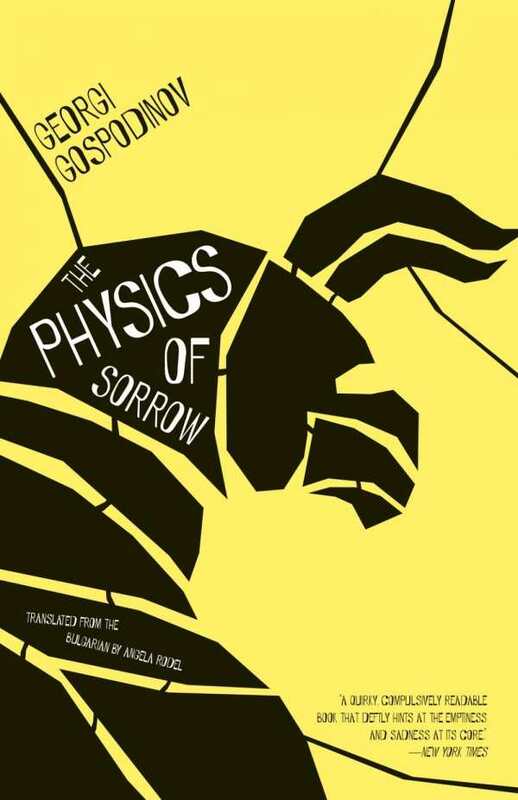 The Physics of Sorrow is his second book and a finalist for four International European prizes. Award-winning translator Angela Rodel holds a PhD in linguistics from UCLA.